The beautiful grounds and historic structures take you and your guests back to a more gracious time whether it is a rustic, vintage or elegant themed wedding. Our wedding staff works with you to make your day historic. Our approach is that this is YOUR day. 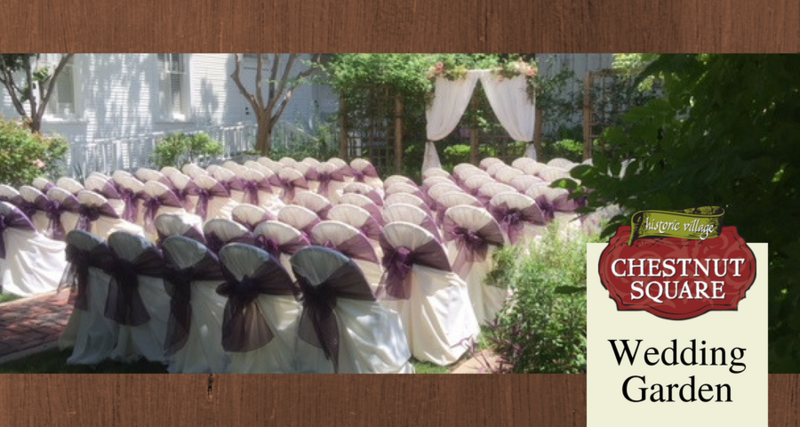 The cozy Chapel Garden can accommodate weddings for up to 90 guests. With beautiful blooming wisteria, crepe myrtles and roses, the garden provides a beautiful backdrop for more intimate wedding ceremonies. The Chapel is always included as a backup due to weather changes.